A SESRIC delegation will pay an official visit to the Palestinian International Cooperation Agency (PICA) in Ramallah, the State of Palestine on 17-18 February 2019 to discuss bilateral ties between the two institutions as well as to overview and enhance existing cooperation initiated by signing a Memorandum of Understanding in January 2018. The Technical visit comes upon the invitation extended earlier by PICA. 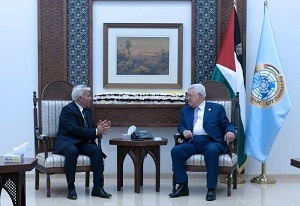 The SESRIC delegation is expected to arrive in Ramallah on 18 February 2019 to discuss possible ways to increase the cooperation and review potential projects and activities that may be implemented during 2019, in consultation with relevant Palestinian authorities from public, non-government, and private domains.